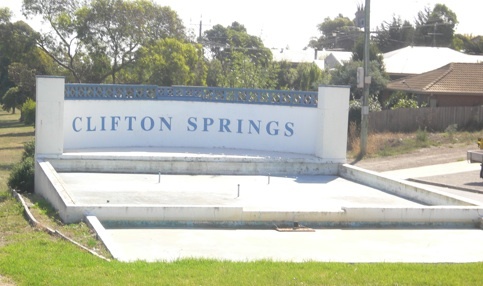 Around thirty people concerned about the state of the Clifton Springs fountain met last night and resolved to establish a working group charged with investigating the current state of the fountain and proposing options for its future. 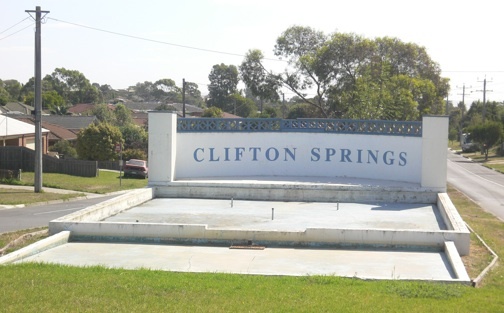 The fountain originally marked the gateway to the then-new Clifton Springs housing estate and was a larger, grander structure than it is now. The fountain itself was switched off during the recent years-long long drought and, as a consequence, the fountain's pipes and pumps have been damaged significantly. The City of Greater Geelong owns the fountain and is responsible for its maintenance as part of the city's collection of 'public art'. 1. Do nothing. This was dismissed immediately - people had come to the meeting to get something done! 2. Return the fountain to its former glory. While several people supported this idea, there was general concern about a fountain splashing away beautifully when we're trying to conserve water. There was also concern about the possible cost of mending or replacing the original pipes and pumps. 3. Rework the fountain as a piece of public art. Several people were attracted by the idea of amending the structure to turn it from a sad, unused fountain into a celebration of the area's history and future. There was broad support for integrating some form of toughened, industrial glass 'sculpture' into the structure - perhaps with an enclosed water feature using recycled water. It was pointed out that mixing glass and water would evoke the time at the start of the 20th century when Clifton Springs was famous for its bottled mineral springs water; and it would build on the area's growing reputation as a centre for glass art and craft around the annual Festival of Glass and the planned Bellarine Glass Trail. The meeting resolved to form a small working group to investigate the engineering and funding issues around the fountain's future and to talk to the City of Greater Geelong officers and councillors about refurbishing the fountain. Once this work was done, the working group would report back to the larger group and present some possible next steps. Local councillor Lindsay Ellis has shown some interest in the fountain's future already and he would be among the first people the group would contact. Finally, the people at the meeting decided to call themselves 'Friends of the Fountain' - albeit a dry fountain at present!